Behold the might of a medieval warrior when you hold the Scottish Great Sword with Sheath in hand. 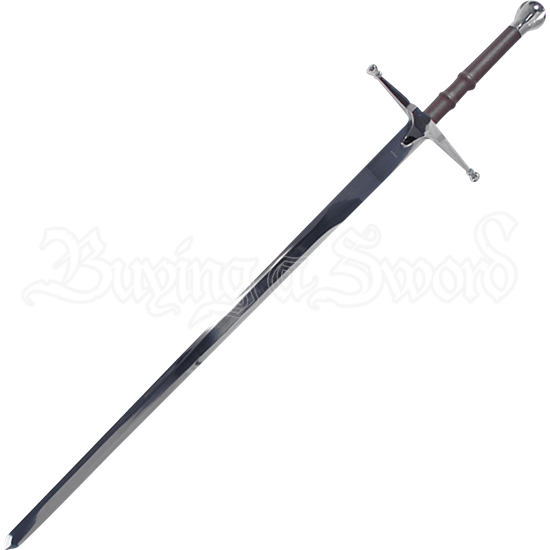 This stainless steel sword is based on historical styles, featuring a straight crossguard with rounded quillions and a matching pommel. The handle is wrapped in faux brown leather, providing a comfortable grip. This replica sword comes with a matching black sheath with metal detail at its end and opening. 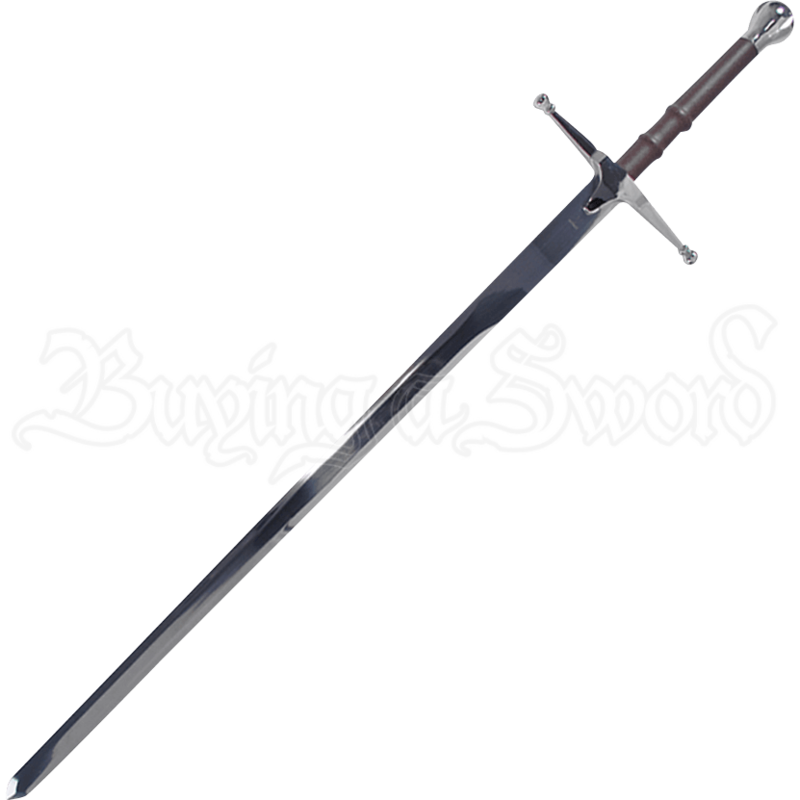 Showcase this historically inspired decorative sword as part of a sword collection or medieval themed display, or gift it to a loved one interested in medieval warfare and the chivalrous tales of knights.